Heyyo lovelies and foodies. Hope you guys are doing well as August is just around the corner. Today's sharing is about my personal review of my sweet date at Tokyo Secret KL. Anyway, thanks to OpenRice Malaysia for giving me this opportunity to have a review session as it's hard for me to find some Tokyo Secret date. Since is my very first time having my cheesy date, hop to their very first branch to seek the originality maybe? 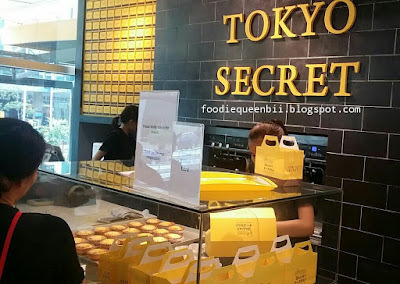 Since I seldom walk around IPC Shopping Centre, I do thought Tokyo Secret is in the mall at first. 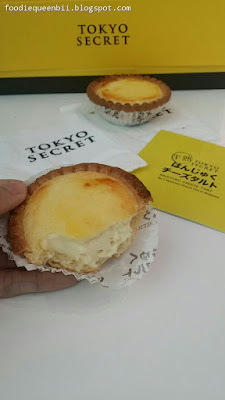 But after looking for it almost an hour time, me and Mr Chooi only noticed that Tokyo Secret is located along the corridor outside of the mall. 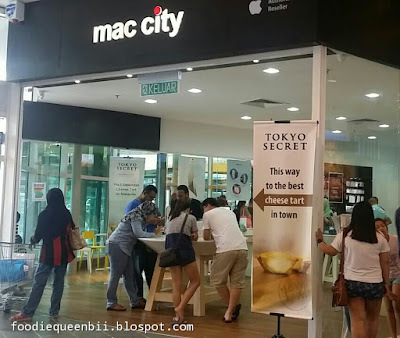 In case you are looking for it in the mall, just look for Mac City will do as the shop do look like overlap (something like tumpang ^.^'''). Anyway, we just need to be patient as they will extend their shop and will be easier to spot in future. 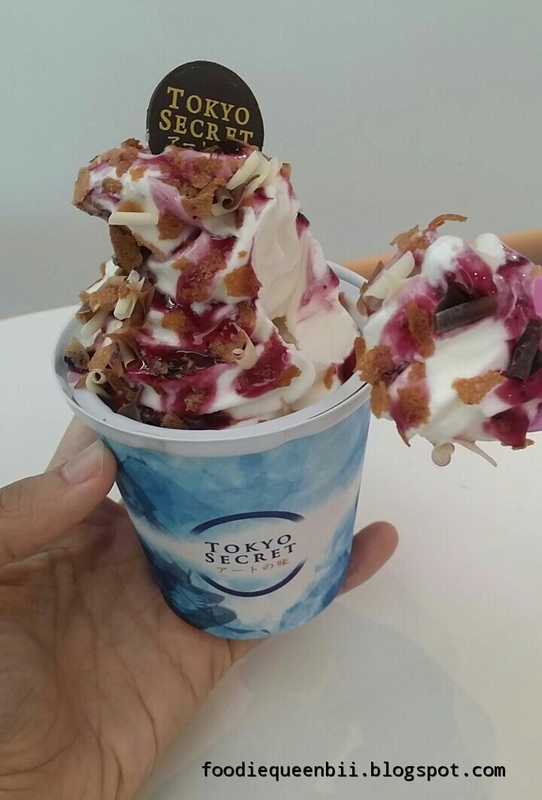 - is like nitrogen gassy ice cream but is a normal ice cream with vanilla milky soft serve, some sort of ribena taste sauce and with white chocolate flakes toppings. 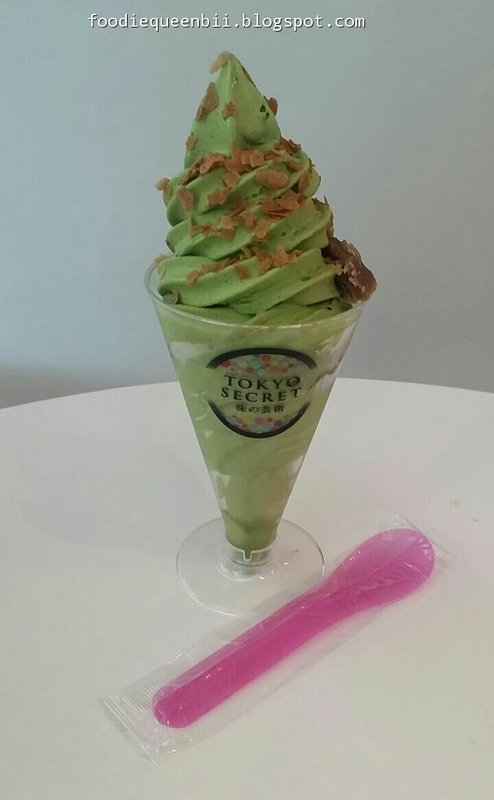 Well, that's all that I can share about my personal review on Tokyo Secret date. Do you guys have any special cheesy story to share with me? If you do, just drop your stories in comment box below and for collaboration, queries or even personal chat, just drop me a mail to queenbiifoodie@gmail.com yo. Everyday - 10 a.m. - 10 p.m.
How much I wish the third one would be at Penang!!! They are all simply tantalizing! I love cheese! Over here at Singapore people are recently crazy about the new cheese tarts and the queue is really mad! I wish to try this one too! Never try this one yet. I tried Lavendar one not bad. This one I will give it a try soon. wow...so many good review from Tokyo Secret!! !I want to try their cheese tart!! OMG I miss the cheese tart already. 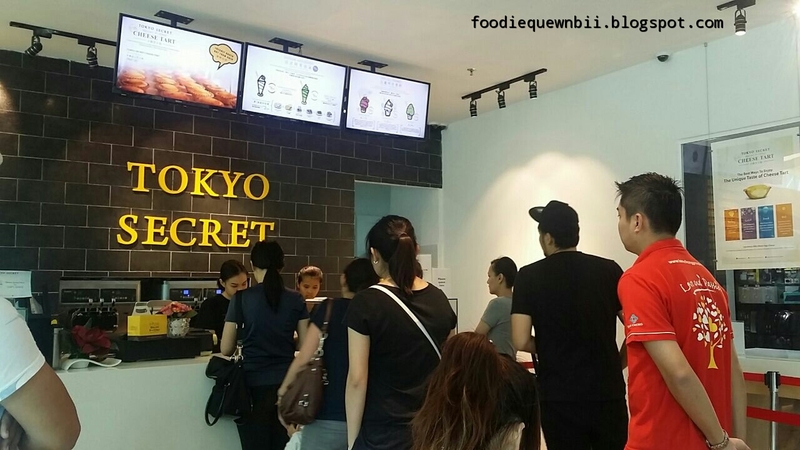 The One Utama branch only serve cheese tart, wanted to try their soft serve too! I bought cheese tarts from Times Square but was so disappointed cos the tarts were not packed properly and everything was smashed and inedible. so I wasted my money!! But still didn't get to try. Must try yours, looks so yummy. 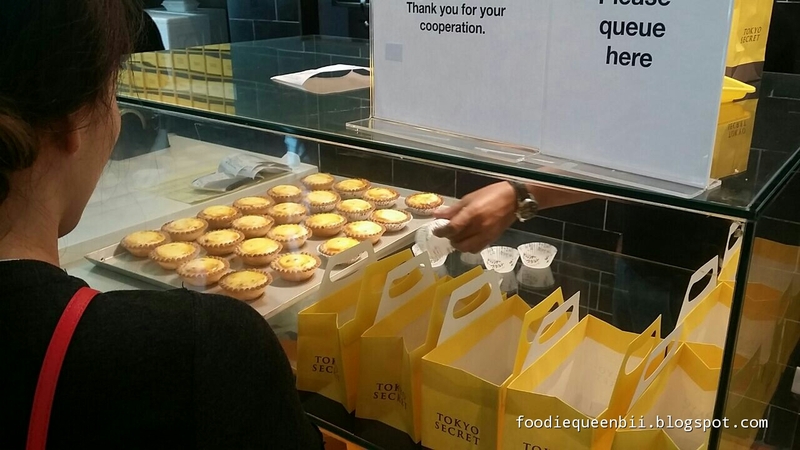 We have a Super Long queue for these tarts in Singapore and I have not tried it personally!! It sounds like a must try!! Saw many people queue and blog about this. Is it really delicious? I've been wanting to try the cheese tart. it is so tempting! 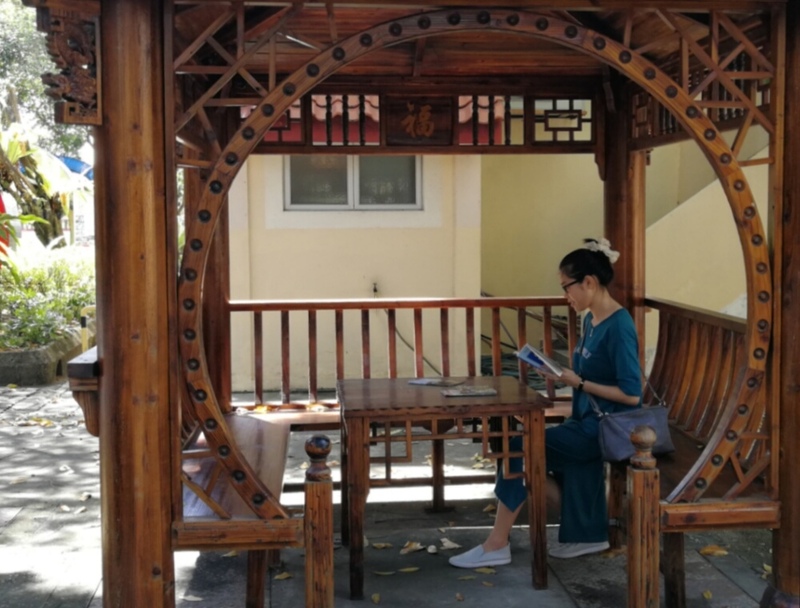 I know where should I go for my high tea already. 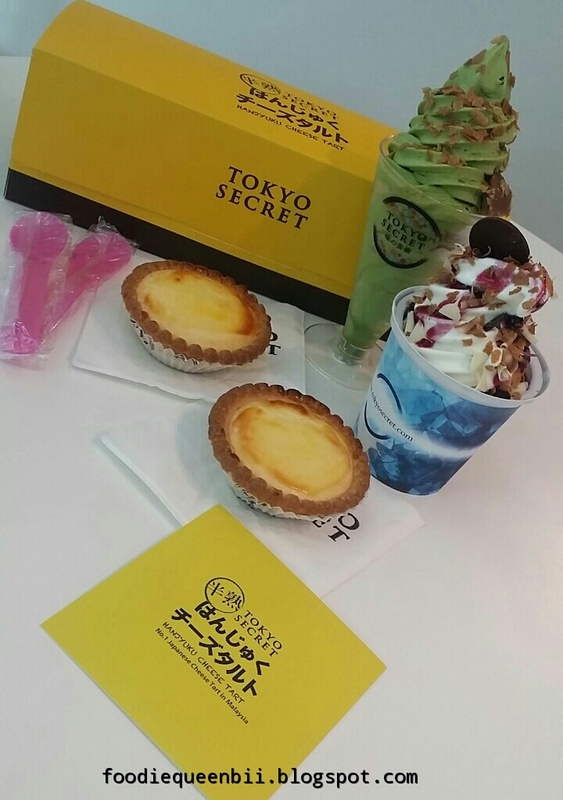 Tokyo Secret and cheese tart, see you this week! The ice creams and tarts look so nice! I think I need to go and grab this too! Now so many of these bakers coming up with baked cheese tart. I love it btw. I really wanted to try but the queue! Lol. Morning no queue but still got errands to do. Wonder if delivery available then they can lessen the queue and option for us who just want to buy, no need go mall. Lol. This place look good.. The cheese tarts are really hype.. The q super long.. I wanna try it one day.. I love their cheese tart so much. It not only taste nice and the tart skin is crispy. worth for money.